Lord Chief Justice Sir Declan Morgan said: “What happened was senseless, needless and entirely avoidable. Stewart, 31, will now serve four and a half years behind bars and the same period on licence. 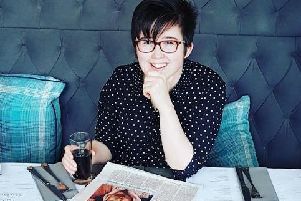 His 18-year-old victim, from Co Tyrone, was in his first term studying architecture at Queen’s University when a van struck him on the Malone Road. He had been walking back to student accommodation when the vehicle mounted a footpath and ploughed into him. Stewart, of Gray’s Park Avenue in Belfast, drove on for 800 metres with the teenager still on the roof. He had taken drugs and up to 13 drinks - including six pints of beer and four Jagerbombs - before getting behind the wheel. Following the fatal collision he drove from the scene before crashing into a lamppost further along the road. Another man who had been drinking with him was a passenger the van at the time. Stewart pleaded guilty last year to causing death by dangerous driving and other motoring offences. Following imposition of the seven-year sentence, half of which was to be served in prison, Director of Public Prosecutions Barra McGrory launched a legal bid to have the term increased. He argued that Stewart had received too much discount from the starting point of a 12-year tariff. Mr McGrory set out how Stewart had been on a “lengthy, sustained drinking bout” before getting into the van. Witnesses suggested the van was bring driven faster than the 44mph calculated by experts, the court heard. According to the Director, Stewart’s failure to stop and remain at the scene were further aggravating factors. “It was done to escape,” he argued. Enda Dolan’s body was dragged along after striking the van with such force that his head penetrated the windscreen, judges were told. Defence counsel insisted trial judge was justified in giving maximum discount in the sentence. He contended that the term handed down represented a deterrent punishment for a defendant who displayed genuine remorse. Members of the Dolan family packed the public gallery as the three appeal judges delivered their verdict. Stewart was not brought into court, but appeared instead by video-link from prison. He heard Sir Declan conclude that a 25% discount applied for his plea in the case was overly generous. The Lord Chief Justice pointed out how Stewart had failed to co-operate with police at the earliest stage in a case where he was caught “red-handed”. Confirming the decision to impose a substitute term of nine-years, he said the legislation prohibited the court from identifying a longer period in custody. “Nothing that this court can do can turn the clock back,” Sir Declan added.